US envoy says both Israel and PA can expect parts they will dislike in peace plan, but it is the best path forward. Jason Greenblatt, the US Special Representative for International Negotiations, said on Thursday that the Trump administration is prepared for Israeli criticism of elements of its coming Middle East peace plan. 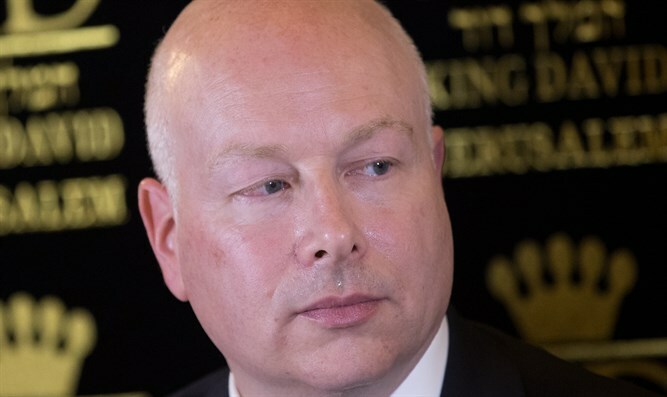 In an interview with the Reuters news agency, Greenblatt said US negotiators had entered the “pre-launch phase” of the plan, despite a boycott by Palestinian Authority (PA) leaders. He declined to specify a time frame for when the plan will be unveiled, except to say it would not be announced at the UN General Assembly gathering in New York later this month, as was previously reported. “We’re going to have to defend the plan to Israelis and Palestinians. We are ready for criticism from all sides, but we believe this is the best path forward for everyone,” he told Reuters. Greenblatt did not provide an explanation of what might disappoint Israelis about the plan. The Trump administration hopes Saudi Arabia and other Arab allies will support its peace plan once it is released but does not expect them to “try to push the Palestinian people into a deal that the Palestinians don’t want,” he said. However, the Trump administration has signaled it is unlikely to be deterred from rolling out the plan even if the Palestinians continue their boycott. He also wrote on Twitter recently that while neither side will be fully satisfied with the Trump administration’s peace proposal, it is the only way to achieve true peace.